The jewelry you wear is an expression of your personality, passions, and lifestyle. While creating a custom designed piece may seem overwhelming, we are experienced at simplifying the process and making even complex designs accessible. Our designers will work together with you to develop a unique design that reflects your vision and budget. Our custom design specialists will bring your inspiration to life by combining the latest design technology with our dedication to artistry and fine craftsmanship. Note: most custom design pieces take 3-6 weeks for completion. 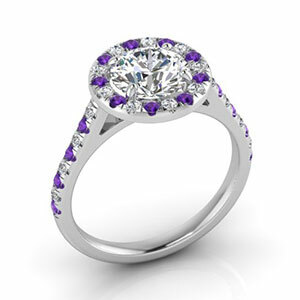 Contact us to receive a complimentary price quote based on your design concept, precious metal, gemstones, and ring size. 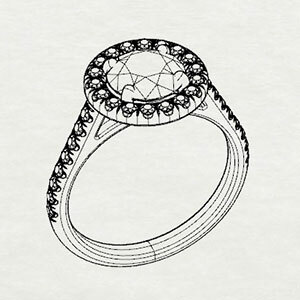 Our jewelry designers will take your ideas, drawings and images and work together with you to create a design concept. Our staff of GIA Graduate Gemologists can help you select the perfect conflict free lab created diamonds for your design. Once your design concept has been finalized and an order placed, we will create a computerized (CAD) model which displays multi-angled renderings of your piece. 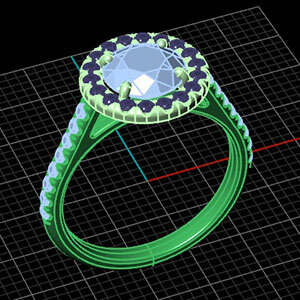 Images of your CAD model will be sent for you to approve or request modifications to your design. Upon your final approval, our production team will cast your design in the recycled precious metal of your choice. Your gemstones are then meticulously set by our expert craftsmen. 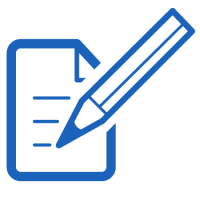 Your beautifully finished piece is then thoroughly inspected by our Quality Assurance team and shipped in our distinctive.